Kathmandu is the lively and colourful capital city of Nepal. Known for its ornate Buddhist and Hindu temples and sprawling pagodas, this vibrant city is located 4,600 feet above sea level at the foot of the Himalayas. With a population of 1.4 million residents of mixed ethnicities and religious beliefs, Kathmandu is the spiritual capital of the east. 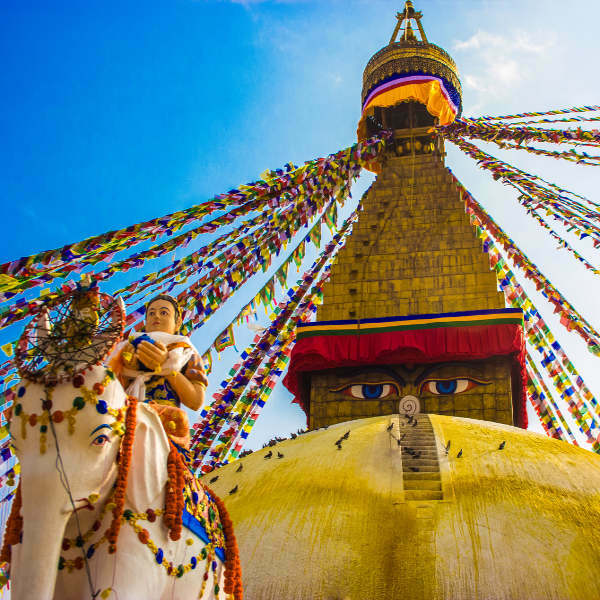 Cheap flights to Kathmandu are now available for a limited period of time, so prepare to be enthralled by the spiritual and cultural charm of this city! Kathmandu is home to Tribhuvan International Airport (KTM) located 15 minutes from the city centre by car. KTM serves a multitude of airlines, including Qatar Airways, Etihad Airways, Oman Air and Nepal Airlines. 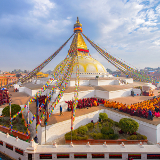 There are no direct flights from South Africa to Kathmandu, but popular connecting flights depart from Johannesburg, Cape Town and Durban. A diverse mix of Eastern and Western nationalities has created a dynamic and exciting fusion of cultures reflected in Kathmandu’s architecture and lifestyle. Temples, pagodas and bustling food markets characterise the city’s appeal and charm. 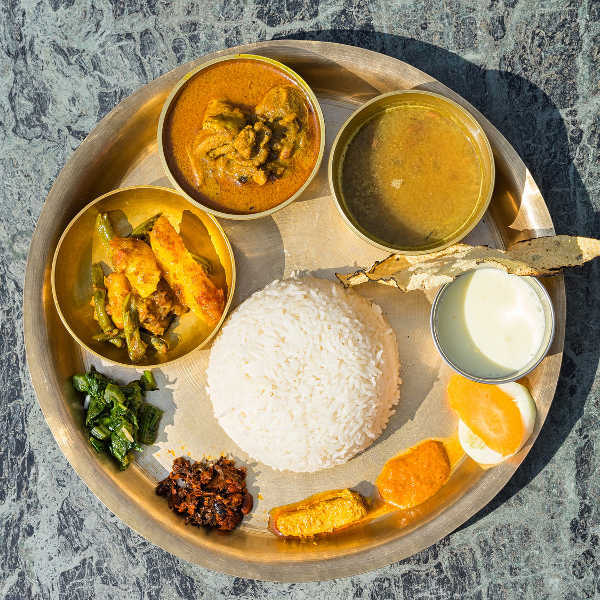 Kathmandu’s cuisine has been heavily influenced by Tibet and India, and offers foodies a gastronomic journey filled with spice, sweetness and flavor. Must-try dishes include Dhal Bat, Nepal’s national dish. Located at the base of the Himalayas, Kathmandu attracts thousands of amateur and seasoned hikers, who can choose routes to suit their fitness and experience, with expert tour guides to assist them. Kathmandu’s peak tourist season takes place in autumn between September and November. During this time, pleasant temperatures and clear weather make for an ideal time to visit, with tourists flocking the city, eager to explore and hike the local mountains. During this time Kathmandu also celebrates its biggest Hindu festivals, turning the city into a festive and colourful place! The ideal time to visit Kathmandu is during spring time (March to May). While temperatures are still colder than in autumn, visitors can still enjoy sunny skies and blossoming flowers, while avoiding the tourist crowds. Tucked away in the Kathmandu Valley is Kathmandu, the colourful and historic capital city of Nepal. Located at the foot of the majestic Himalayan Mountains, this ancient city is located 4,600 feet above sea level and is a melting-pot of Hindu, Buddhist, Islamic and other cultural influences. Characterised by sprawling Buddhist and Hindu pagodas and temples, Kathmandu is a cultural mecca for travellers wishing to get in touch with their spiritual side. Food enthusiasts will love the variety of tastes and spices in local Kathmandu dishes. Travellers brave enough to attempt a trek up the Himalayas can arrange a hike with local tour guides and for hikers, who may feel apprehensive about hiking the Himalayas, there are local treks in and around the city to nearby tea houses (popularly known as ‘teahouse trekking’). Compare several airlines, and book your cheap flights to Kathmandu online at Travelstart! South Africans travelling to Nepal do require a visa. 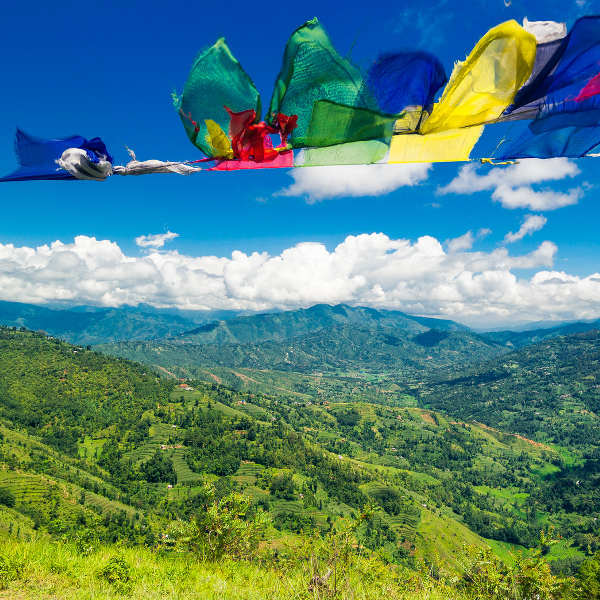 South African travellers can apply for a visa before travelling to Nepal, or may purchase a visa on arrival upon submission of all necessary documents and fees. • A valid passport with at least 6 months' validity after duration of intended stay. Please contact the Nepalese Embassy in South Africa for more information. Although Kathmandu has traditionally held a relatively low crime rate, crime in the city has spiked since the city has seen a larger number of tourists. Take certified copies of all important documents, and store important documents in safes where possible. Be wary of scammers operating as tour guide organisations. Speak to your local hotel about officially certified tour guides. Watch out for pick-pocketing and bag snatching in market places and other busy areas. Rather try to use travellers cheques or credit cards where possible and do not walk around with large amounts of cash. Store any excess cash in hotel safes or safety boxes. Do not leave drinks unattended in bars and restaurants. Should you feel unsafe or ill, you can contact the Nepalese Police emergency number by dialing 100. There are no mandatory vaccinations prior to entering Nepal, but it is advised to visit your GP specialist at least six weeks before your trip to discuss any recommended vaccinations and immunisations. Visitors wanting to be in the prime tourist location can seek accommodation in Kathmandu’s lively Thamel district. This vibrant neighbourhood is conveniently located near to all of Kathmandu’s landmarks and attractions, and houses a range of restaurants, cafes and several pubs. Thamel can get extremely busy during peak tourist season, so be sure to book accommodation in advance. 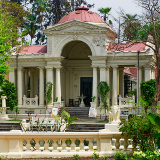 For those wanting a slighter quieter and more upmarket Nepalese stay, the street of Darbar Margh offers luxury hotels, high-end restaurants and shopping malls offering designer brands. Landmarks and must-see attractions are also within walking and driving range. Kathmandu is notorious for bad traffic, congestion and reckless drivers. A great way of countering this is by walking the city streets, which allows you to take in more sights and sounds. If your destination is too far away to walk to, Kathmandu does offer reliable public transport (just be prepared to potentially sit in traffic) the most popular being taxis for their affordability, just always agree on a set fare with your driver before getting in. Other options include city buses (which can get overcrowded) and cycle rickshaws (once again, agree on a set cost before getting in).